If you’ve ever tried to market your B2B business, you know how hard it is to get the right people to find your business, trust you, reach out and ultimately sign up for your services. This is especially true for SaaS businesses. Typically, most B2B marketers are focused on driving traffic to their site and building awareness. After all, if your target market hasn’t heard of your service or software, you’re not going to make many sales! However, amidst all of their branding efforts, many marketers overlook one of the most powerful tools in the B2B marketer’s arsenal: reviews. Sure, it’s easy to think, Does having reviews really help my business? Wouldn’t my time be better spent driving traffic? How much good do reviews really do? Well, B2B reviews matter. A lot. In fact, you could probably argue that B2B reviews matter even more than B2C reviews. The money and commitment at stake with a B2B service or a SaaS product is typically a lot higher, which means your potential customers will want to be even more certain that they are making the right choice. And what’s the easiest way to reassure yourself that you’re making the right choice? Why, by checking out the stories of other people who made the same choice, of course! Unfortunately, while I’m sure that your product or service can solve your target market’s problems, if you don’t communicate that effectively to your potential clients, they’ll never realize what you have to offer. This seems like an issue that should be easy to address, but in reality, it can be hard to convince someone that your product will solve their problem with your standard ad or landing page. Even with quality testimonials on your page, most people—especially in the B2B industry—will take those testimonials with a big grain of salt. After all, you control the narrative on your landing page, so you are going to position your product or service in the best way possible—and that includes handpicking your testimonials. However, if you have reviews on third-party websites where you don’t control the narrative, those reviews will mean a lot more to your potential customers than anything you say on your own landing page. And, if you’re a cautious B2B decision-maker, those sorts of honest, unfiltered reviews are exactly what will help you decide which company will do the best job of meeting your needs. Now that we’ve discussed why reviews are important for B2B businesses, let’s take a look at how reviews affect your business in practical terms. In other words, roughly two-thirds of your potential customers are looking for reviews about your company, product or service. So, if you don’t have reviews—or the reviews you do have aren’t very favorable—you could be missing out on an enormous number of sales opportunities! This is a real shame, because if your business or your software is great, you probably have lots of satisfied customers who would be happy to leave you a review. All you have to do is ask! Now, all of this sounds nice, but if adding reviews doesn’t add to your bottom line, it doesn’t really matter. However, the good news is, I’ve seen firsthand just how big of an impact B2B reviews can have! Over the past 2 years, I’ve been working with a B2B SaaS client of mine to improve their marketing performance. Over the years, we had discovered various tweaks and optimizations that had steadily improved their cost-per-lead to about 250 dollars. And then, I hit a plateau. No matter what I tweaked in their campaigns, I couldn’t seem to get their cost-per-lead to drop any more. Now, the client was thrilled with a $250 cost-per-lead—especially compared to where things had been a couple of years earlier—but I wasn’t satisfied. I knew we could get the cost-per-lead down even more, but I just couldn’t figure out how. Then, one day as I was doing some research, I hit on an idea. The client didn’t have much in the way of reviews online, what would happen if we changed that? Excited to test my hypothesis, I called the client’s sales team and begged them to have their clients submit real reviews. The results were mindblowing. Within 1 week, the client’s cost-per-lead dropped by 32% to $170 and lead volume increased 46%! To make things even better, these weren’t temporary results, either. Even months later, these reviews continue to markedly improve the client’s cost-per-lead. B2B reviews are a simple, but often-overlooked part of any good B2B or SaaS marketing strategy. 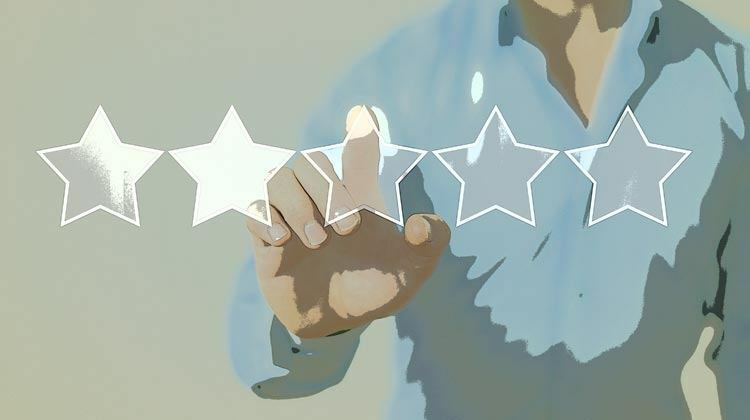 The simple fact of the matter is, people trust third-party reviews more than they trust you, so if you want them to pick your business, you need good reviews. Even if all your reviews aren’t glowing, that still isn’t an altogether bad thing. No one bats a thousand and the occasional bad review can actually make your good reviews seem more compelling. By the way, if you’d like help marketing your B2B or SaaS company or want specific advice on how to get more reviews from your customers, let me know here or in the comments. I’d love to help. How have you seen B2B reviews improve marketing performance? Interesting data points (and results!) from the case study. Arguably, WHO YOU ASK is even more important. APPEALIE (disclaimer – a SaaS Awards event I founded) conducted an analysis of over 1,400 SaaS product reviews associated with an identifiable LinkedIn user profile. Using Crystal’s DISC type personality analysis software, those reviews scores were then compared against each reviewer’s DISC type. I definitely agree, who you ask is very important.